Nicole has been invaluable in getting the lodge back on track in terms of bookkeeping, reporting and taxes. She has set up a system that is easy to follow and gives me confidence in my ability to meet our reporting needs. She is always available when problems arise and eliminates the stress of tasks I used to dread. Nicole Sigler and her staff are extremely professional, knowledgeable and helpful. Even during the peak of tax season, she is prompt in responding to questions and/or needs. She provides great communication, necessary recommendations, and recognizes that speaking to me in “accountant-eze” isn’t going to serve anybody with a positive outcome. If you seek an accounting firm with small town courtesy, but big city accountability, I highly recommend Sigler Accounting. 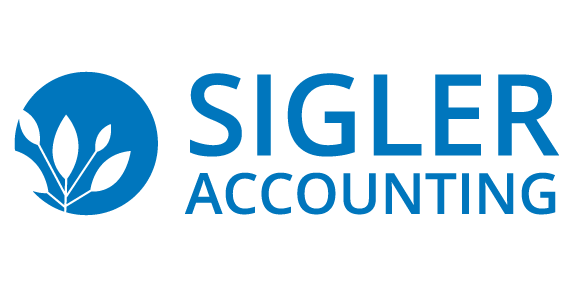 I switched to Sigler Accounting about 15 years ago on the recommendation of a colleague and was immediately impressed with the speed with which my returns were prepared and the significant savings in preparation costs. About 8 years ago we moved to Illinois and thought I might need to switch accountants. Nicole assured me it was not necessary and I have been with Sigler Accounting ever since. I appreciate the annual organizer, the timely reminders about estimated tax payments, the fast and thorough answers to tax related questions throughout the year, often through email, the timely and accurate completion of my tax returns which are many pages long and include numerous forms for Ohio, Illinois and Michigan. I receive the tax forms with all the necessary mailing envelopes, estimated tax forms and easy directions on what to send where. Nicole makes the process as easy as possible. She is always friendly and professional and the fees are very competitive. Nicole Sigler and her staff are efficient and always available for a quick question or a more in-depth analysis or project. When faced with a financial decision or dilemma, they are able to sufficiently explain the financial and/or tax ramifications in a manner that anyone can understand. Their follow through is consistent and reliable. We thoroughly enjoy working with them! I have always enjoyed working with Nicole and her staff, because they are always friendly, accessible, and knowledgeable. They have helped me the last 16 years with both business and personal tax preparation, retirement planning, and business counseling. I owe a great deal of my professional success and increased wealth to their involvement.